The standard web browser has evolved over the years and tabbed browsing has become a staple feature that many people use every day. The new tab page can be incredibly useful for some and the desktop version of Chrome has a number of popular extensions that make it even more functional. Google has experimented with new tab features on Android in the past, but a new commit shows they want to spruce up the desktop experience now. If it gets approved, we could gain the ability to use an image from our Google Photos account as the background of the new tab page. 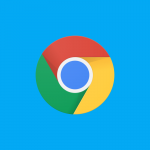 There is no shortage of Google Chrome extensions that enhance the new tab page. I have gone through a number of options available and have settled on the BNTP extension as it gives me quick access to my bookmarks while also being very lightweight. There are many new tab page extensions for Google Chrome that help you to make it a more personable experience. 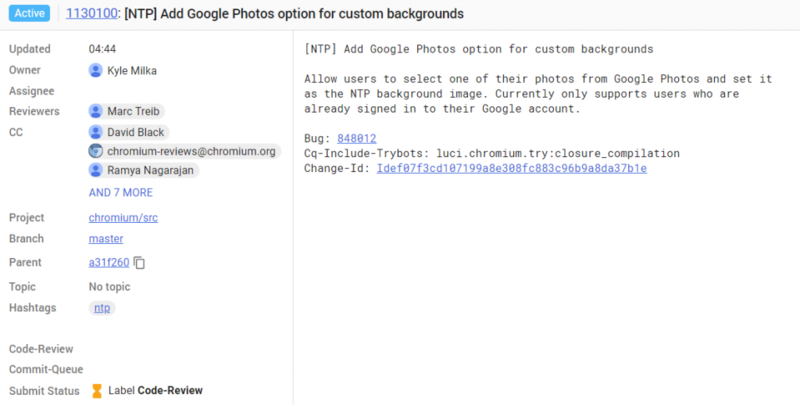 Google may have noticed how popular these new tab page extensions have become and that could have been the catalyst of this new commit in the Chromium Gerrit. The feature is being actively developed right now, so it may or may not be merged into Google Chrome in the near future. If things go well, though, then we could gain the ability to choose one of our photos that have been uploaded to Google Photos. That photo will be displayed as the background for the new tab page without the help of a third-party extension. As to be expected, this feature will only work for those who are already signed into their Google account.